Gallows Hill Brewing Co. springs from the need to have more good beer and a bigger variety. We aim to make an impression and to showcase the flavours and complexities of different ingredients. We make beer deserving of a certain attention. Beer that forces you to confront and consider what you are drinking. Most of our beers are hop forward and not shy in the bitternesses department. Some have warming alcohols and full bodies of malt. Others are crisp, dry and refreshing. All with lengths and depths of flavour. Our focus is on Pale Ales and India Pale Ales, but we will probably brew whatever else we feel like drinking. By definition, an India Pale Ale is hoppier and higher in alcohol than its little brother, Pale Ale… and we deliver in spades. If hop-forward beers are not for you, be warned! This deep golden to amber coloured beer has a medium body; fruity & malty middle flavour; and a hoppy finish. Ample additions of the best imported hops results in a characteristic hoppy ales. Our India Pale Ales are available in limited production unique batches. Please check the bottle to determine the details of the beer you have in hand. India Pale Ales were originally brewed in England for export at the end of the 18th century. Beers bearing the moniker IPA still share a couple of commonalities: they tend to be deep gold to medium copper in colour and displays a distinct & assertive hop character. The late 18th century presented England with several vexing issues. While the upstarts in the North American colonies were certainly worthy of attention, there were two other matters of even greater importance: how to get beer to the colony in India and supply His Majestys sailors during the voyage. Even today, beer does not travel well. Motion and heat speed up the staling of beers brewed using the most modern techniques and equipment. 250 years ago, it was rather tricky to ship beer long distances and end up with a palatable product at the receiving port. The trip to India was long and brutal; down the Atlantic through tropical heat, around the Cape of Good Hope, and back north into the tropics. The trip to India was long and brutal; down the Atlantic through tropical heat, around the Cape of Good Hope, and back north into the tropics. 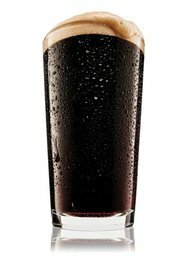 The first English beers arriving in India, porters from London were usually sour, flat, and unfit for sale. At the end of the 18th century, an enterprising brewer named Hodgson, motivated by the wide-open Indian beer market, solved the problem. He invented a new style of beer, brewing it to a high alcohol level and using more hops than any previous beers. While there is not enough alcohol in any beer to offer serious protection from micro-organisms, having more of it will certainly not hurt. The real genius of his recipe was in the hops. The high hop levels preserved the beer’s flavour on the long journey. In actual fact the majority of this story is simply not true. Hodgson did not invent a new beer style. In fact the term “India Pale Ale” was only coined after the glory days of Hodgson. From the latest research it seems that in all likelihood the beers referred to were English Stock Ales. In particular they were October Ales. These beers were brewed with freshest malts and hops from the harvest and were more heavily hopped than the common running beers. Stock Ales were aged for up to two years before local consumption to mellow the extreme hop bitterness. Porter, Pale Ale, Table Beers and Strong Ales were all successfully shipped to India and other far off colonies. Records show Hodgson himself exported these beers rather successfully. The little brother to India Pale Ale is the more sedate sibling. 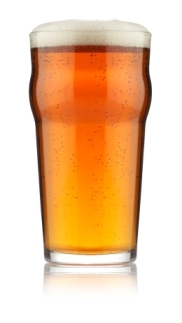 This golden to amber coloured beer has a medium body; fruity & malty middle flavour; and a moderately hoppy finish. The Pale Ales are not as hop-forward as our IPAs… Crisp in character, pale in colour and a dry finish with moderate to firm hop bittering for balance. Our Pale Ales are available in limited production unique batches. Please check the bottle to determine the details of the beer you have in hand. Making the same beer over and over seems like one of the most boring things one can do. With so many ingredients and variables to play with it is simply irresistible to brew whatever the hell we feel like drinking. As part of our ONCE OFF beers we will explore all sorts of beer styles… Saisons, Porters, Stouts, Barrel Aged and even Sour beers. The sky is the limit. Our take on a hybrid lager… A complex, yet easy drinking beer. Thanks to the California Common yeast strain it is a lager using the fermentation temperature profile of an ale. Our winter warmer. A dark beer using a traditional lager yeast strain aged in custom small barrels manufactured using various spirit barrel staves.